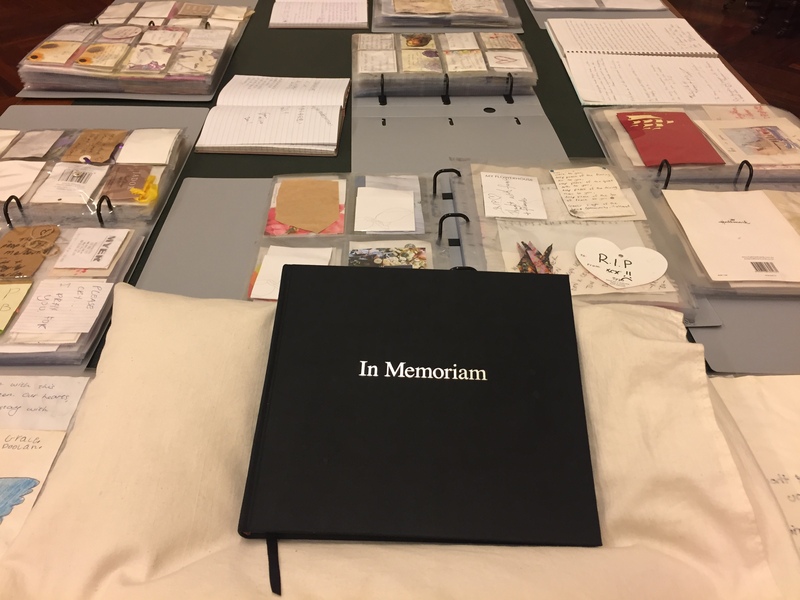 The survivors and families of those impacted by the Bourke Street tragedy this morning viewed a collection of the thousands of cards, soft toys and condolence messages left by Melburnians and visitors after the devastating incident on 20 January 2017. After the viewing, the City of Melbourne formally handed over the Bourke Street Collection to State Library Victoria for safe-keeping and preservation at a commissioning event attended by the Governor of Victoria the Honourable Linda Dessau AC, Premier of Victoria the Honourable Daniel Andrews MP and Lord Mayor of Melbourne Robert Doyle AC. Lord Mayor Robert Doyle AC said the City of Melbourne collected and carefully stored the cards, flowers, soft toys, condolence messages and artworks left at the Bourke Street sites. “The commissioning was an important part of the healing and recovery process for the victims, their families and the wider community,” the Lord Mayor said. “This is a profound and moving time for us all. For those families who have lost loved ones and people who are seriously injured, our thoughts are with you all as you rebuild your lives. “We were heartened and in awe of the outpouring of support from Melburnians and visitors immediately after the event and in the months since. The Lord Mayor said the victims and their families were invited to take one of the soft toys left at the vigils with the City of Melbourne donating the remaining toys to the Salvation Army. “The flowers and floral bouquets have been mulched and were today spread across the gardens at Victims of Crime memorial sites throughout Melbourne,” the Lord Mayor said. From 15 September the public will be able to make a private appointment to view the Bourke Street Collection by calling the State Library reference service on 03 8664 7009. So glad these brave families of the victims had the strength to honour the lives of their loved ones.I was transfixed and so moved by their tributes.